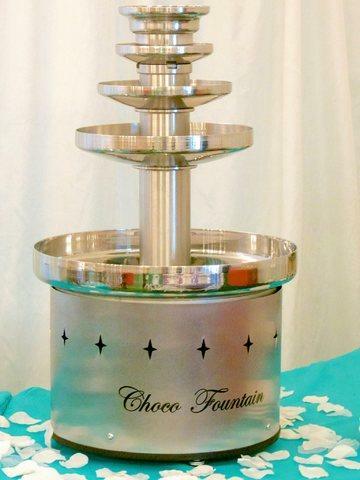 Commercial Chocolate Fountain, 30 in. Tall. 5-tiered only needs 7 1/2 lbs of chocolate for 50 guest but can hold up to 30lbs and serve up to 300 people.